11 failed attempts to abduct soldiers took place in 2011, says IDF. Unknown people tried to abduct soldiers four times in less than two weeks since the year 2012 began, the IDF said Thursday. 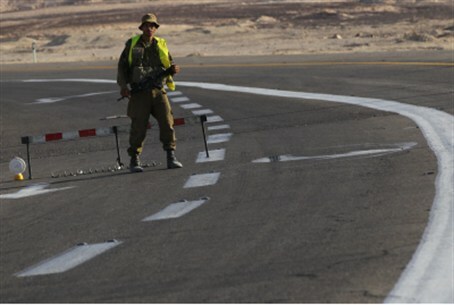 In the course of the year 2011, the IDF verified 11 complaints about attempts to abduct soldiers. Other complaints were found to be false. The verified attempts took place at the Jalameh junction in northern Samaria, the Hadera Central Bus Station, Yahud, Herzliya and the Tel Aviv Central Bus Station, among other locations. An IDF source told Army Radio that the military does not know who is behind the attempted abductions, and that in some cases there is no clue to the identity of the would-be kidnappers. However, the overriding suspicion is that the cases are acts of Arab terrorism, and attempts to abduct a soldier in order to bargain for his freedom. Other cases are believed to be attempts to steal the soldiers' gun, and yet others are believed to be attempted rapes. The IDF has decided to launch a consciousness-raising campaign among soldiers and parents to alert them to the danger of abduction. Once a month, for a week, military police in disguise will offer soldiers rides to see if they are willing to climb aboard. Those who do so will be punished. In addition, parents will be alerted to the dangers of hitchhiking.